The exterior sides are decorated with bands and roundels of script. The underneath of the rim is similarly etched. 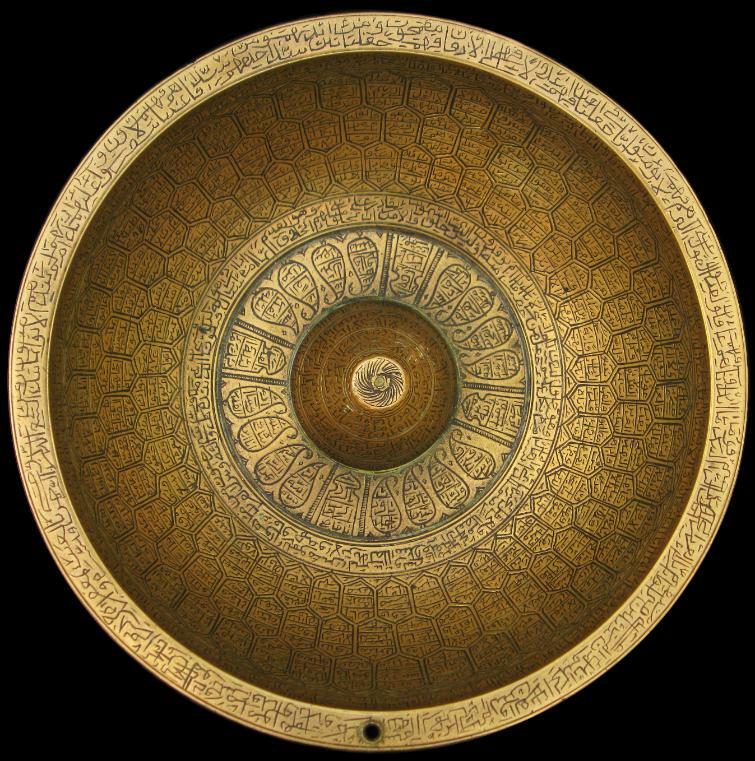 Even the thin ring foot on which the bowl stands is chased with Koranic script. The base too is etched, possibly with ownership inscriptions. 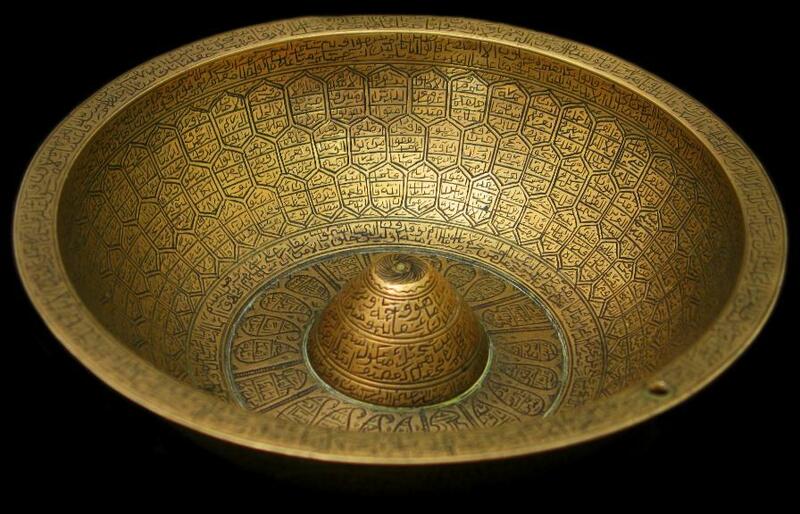 Magic bowls were made at least as early as the 12th century. They were used in Islam in the treatments of disease and other ailments, including insect and snake bites. 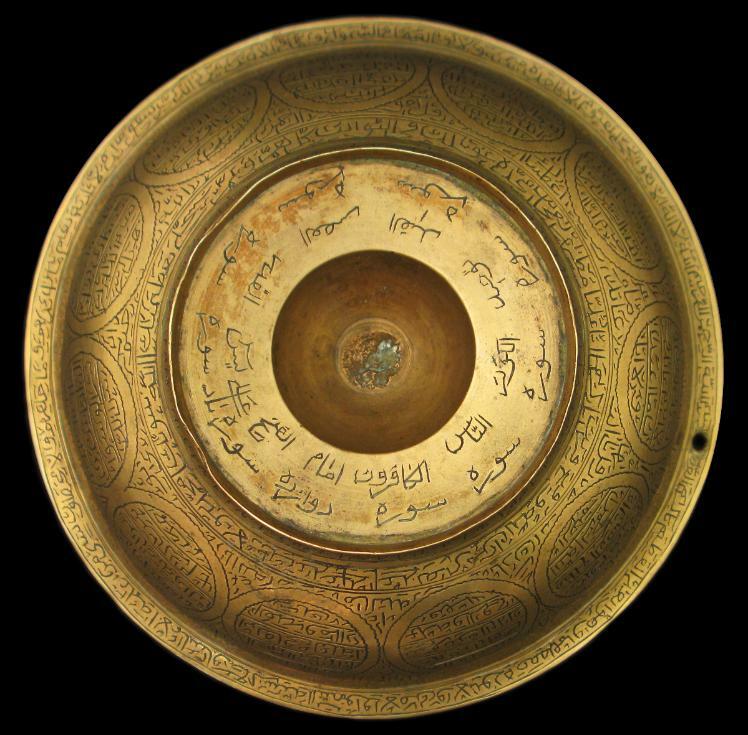 Water placed in such bowls was believed to take on curative aspects after having come into contact with the various talismanic and Koranic symbols and verses etched onto such bowls. It was then drunk by the afflicted person. Savage-Smith, E., ‘Islamic magical texts vs. magical artefacts’, in Societas Magica Newsletter, Fall 2003.